Discovery Vitality wanted to incentivise, and reward their members, for being physically active and maintaining a regular, healthy lifestyle. They launched, The Active Rewards programme, available through the Discovery app, which set members a personalised weekly points goal, achieved through various physical activities. While the programme worked well in rewarding members for their new healthy lifestyle, it did not have the systems in place to allow members to redeem those rewards. The challenge was, how could Discovery Vitality find an easy, distribution channel, and enable instore redemptions, to reward members behaviour? Discovery approached wiGroup to assist them with the delivery and redemption of mobile rewards to members using the new Vitality Active Rewards Programme. wiGroup’s Loyalty and Reward product was the perfect fit. Its large integrated network of retail partners offered Discovery the ability to reward members with an in-app digital voucher, delivered right to the member’s mobile phone, once they’ve reached their personalised weekly fitness goal. So members can redeem their hard-earned rewards, with products, like a free cup of coffee, smoothie, movie tickets, and other growing participating partners. The mechanics are as simple as they are rewarding. First, Vitality Active Rewards sets an individual member a personalised weekly fitness goal. The member may then participate in a variety of physical activities that are monitored by gym visits, personal fitness devices and organised events to meet their goal. 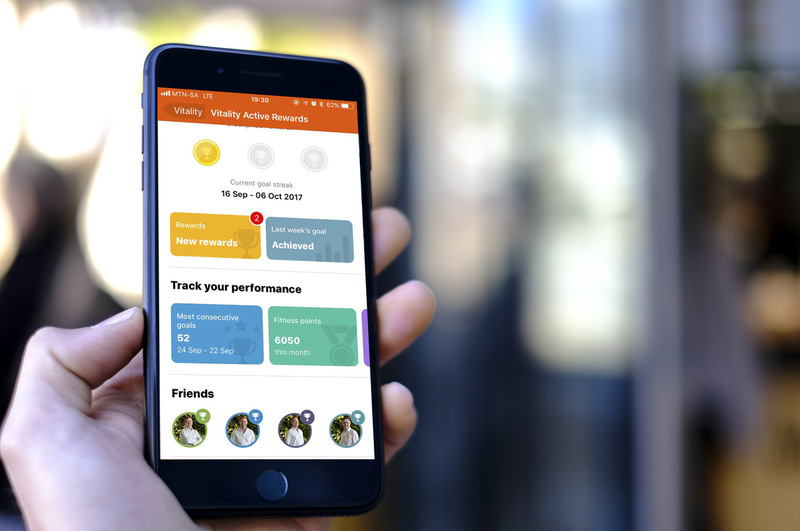 Next, Vitality tracks the progress of the member and rewards them weekly when they achieve their target. Through the wiGroup Loyalty and Rewards product, the reward options are delivered direct to the member’s mobile device and seamlessly redeemed in-store. All members need to do, is reach their goal to redeem their voucher. While Discovery reinforces its brand values of maintaining an active, healthy lifestyle. Now, with added motivation. Vitality Active Rewards went live in September 2015 with Kauai and Vida e Caffé as the initial reward partners, and the response by members was incredibly well received. Since the launch of Vitality Active Rewards, over 350 000 people are exercising 25% more, and getting millions of free coffees, smoothies, and popcorn. With the increased success of Active Rewards, additional reward partners have been added to the offering. These include Mugg & Bean and Ster Kinekor which joined in May 2017. The bottom line? Active Rewards has seen a consistent, high double digit weekly redemption rate, across all reward partners and the programme will see exciting changes in the future.